Russia could see a windfall of up to $6 billion in extra taxes if the government passes a bill to ratify OECD tax convention. 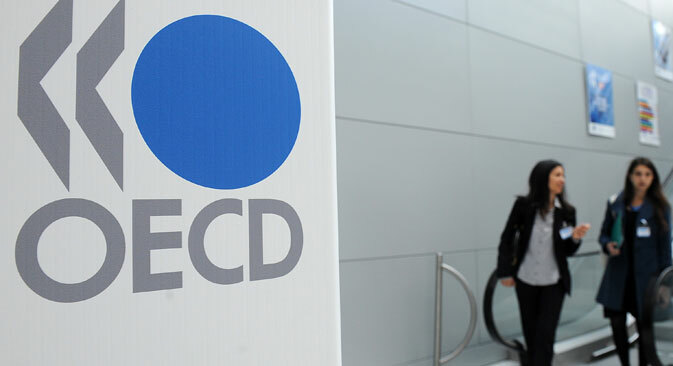 Russia is considering joining an international treaty developed by the Organisation for Economic Co-operation and Development (OECD) and Council of Europe. Signing on to the treaty would allow Russia to share tax information with other member countries and potentially bring state coffers as much as $5 to $6 billion in extra tax revenue from offshore assets. The debate over the tax treaty comes just a month after Russian President Vladimir Putin announced a campaign to crack down on offshore companies and proposed a stricter system to repatriate Russian money in foreign tax havens. The Russian Finance and Interior Ministries have submitted to the government a bill concerning the ratification of the OECD Multilateral Convention on Mutual Administrative Assistance in Tax Matters, signed by Moscow back in 2011. The ratification procedure will enable Russian fiscal agencies to broaden information exchange with their foreign counterparts, participate in international tax inspections, and levy outstanding payments from businesses with assets abroad. The Russian government is planning a three-prong approach to cracking down on offshores: starting to levy taxes on offshore entities controlled from Russia, banning any forms of state support for companies that operate offshore ventures, and ceasing the practice of awarding government contracts to such companies. However, these measures, particularly those associated with attempts to track offshore revenues back to their Russian owners, cannot be implemented in practice without reliable information from foreign fiscal services. This is where the convention would step in. Roustam Vakhitov, the head of tax at Baker Tilly, said that the convention directly prohibits its signatories to refuse requests for information based on bank, professional or other categories of secrecy. The Finance Ministry's enthusiasm is based on the fact that offshores themselves have started to join the convention under pressure from leading economic nations. In May 2013, a number of British overseas protectorates (including the British Virgin Islands, which are popular with Russian business) committed to sharing data on banking operations performed by G5 residents, such as residents of Germany, France, Italy, Spain, and the United Kingdom. "Offshores will provide us with the information we need, including that on the operations, structures, and accounts under their jurisdiction," Russian Deputy Finance Minister Sergey Shuvalov has said. The ministry does not publicize any estimates as to how much money the Russian budget is standing to receive in taxes if the measures prove successful, but a recent forecast by Bank of America Merrill Lynch puts the sum at $5 billion to $6 billion, primarily through taxes on offshore interest rates and dividends that currently go uncollected. The convention also provides for the signatory countries' participation in international tax inspections. The Russian Finance Ministry back in June 2013 submitted a bill on introducing a relevant amendment to the Tax Code. According to Alexey Overchuk, deputy head of the Federal Tax Service, his office has already accumulated positive experience in the course of such joint inspections. "When ratified, the convention will provide for a broader use of this practice," he said. The convention enables so-called cross-border debt collection, wherein a business has outstanding tax payments in one country and holds its assets in another, fiscal services will be able to impound those assets. So far, however, Russia's potential benefits from this particular provision are not entirely evident. The combined total of outstanding debts payable to Russia by companies registered in the countries that have signed the convention stands at 6.24 billion rubles ($190 million). The heaviest combined debtors are located in Canada (1.38 billion rubles) and Turkey (1.23 billion rubles). Until now these debts have been inaccessible to Russian fiscal agencies because of “the absence of impoundable property, or the physical absence of the debtors, on Russian soil." Thus far, Russia has been ready to join the convention with a number of reservations. In particular, the bill argues, Russia's legislation is as yet unprepared to fully embrace the cross-border debt collection scheme. Moscow, therefore, cannot immediately provide any assistance in levying outstanding VAT, excise, or mineral extraction tax. Furthermore, Russia will not initially share information about the opening or closing of bank accounts by individuals. In addition, to keep the number of requests for information down, Moscow is also planning to set a three-year cap on "legal assistance in matters involving criminal prosecution." Baker Tilly's Vakhitov said many signatory countries before Russia have applied similar reservations related to local or indirect taxes. It has yet to be seen whether the more advanced options such as international inspections and the levying of outstanding debts will work in practice. "However, when it comes to the convention's fundamental information-sharing functions, the Russian fiscal agencies will be able to obtain information from territories like Belize, Gibraltar, the former Netherland Antilles (Sent Maarten, Curacao, and Aruba), and many others – those which currently remain beyond Russia's reach. This alone fully justifies the ratification," Vakhitov said.